Hawaii is one of the most wonderful places on earth. Comfortable climate, peaceful lifestyle, blissful food, the stunning beauty of nature and awesome beaches, you can find every element that will stimulate your vacation. Intending to travel to the U.S. in a week? Don’t worry and apply for your ESTA Travel Permit today and we will send your approved document by email! Hawaii is home to 750 miles of beaches and almost 400 beaches that are all open for public. Hawaii offers the best surfing, boogie boarding, windsurfing, scuba diving, and snorkeling experiences. You can also enjoy other things in Hawaii like sailing tours, whale watching, zodiac raft tours, sunset and dinner tours, and deep sea fishing or parasailing. 1. Kalapaki Beach: Kalapaki Beach is one of the most popular beaches located in Kauai. It is situated at the entry point of Nawiliwili Harbor in Lihue. The gentle slope and sandy bottom of the ocean make perfect conditions for swimmers, surfers and body boarders. The golden sands of this quarter mile long beach contrast well with a walking pavement of green grass at the beach. This is a three miles ling curve beach in Hawaii where you can find crystal clear blue ocean water. You also get a chance to few times in the finest restaurants located around the beach and collect some souvenirs from the nearest shops. There are number resorts lined near the beach, and you can choose anyone as per your budget. While you are at the beach, don’t forget to spend some time at the Kauai Lagoons Golf Club, the 40 acres of Kauai Lagoon and the wildlife sanctuary within the vicinity. A number of catamarans and canoes launch from here, and you can choose anyone to spend some time on the sea. 2. Hapuna Beach: This is a great white sand beach located on the west coast of Big Island. Equally popular among locals and tourists, this half-mile long beach is considered to be one of the finest beaches not only on the island but in the entire US. It can be categorized as a classic tropical shore that is known for its soft and golden sands. One of the largest beaches on Big Island, it has a gentle slope into the clear Pacific waters. While the ocean is calm, you can see many swimmers dotting the crystal clear waters, and many kids building sand castles on the shallow areas of the beach. However, one needs to watch out the waves, especially during the winter months. Not a peaceful beach at all, it has a huge parking lot, but still, you may not get a space on crowded days. Advanced snorkelers would love to head towards the beach’s south end for some excellent snorkeling experience. Since there is no shading available on the beach, come prepared with your umbrella and a lot of sunscreen. Not sure if eligible for the ESTA Authorization? Please, check the requirements here. 3. Waikiki Beach: Located on the southern shore of Oahu, this is one of the most popular beaches on the earth. It is a 2-miles long stretch known for its white sands and calm and turquoise waters. This beach is located near the state park, and you can easily reach there by any public transport. Visitors from across the globe come here to enjoy water activities, and this is a perfect place for swimmers, body boarders and sunbathing. Apart from that, you also get a chance to enjoy shopping, and you can book your rooms in the nearest resorts on Kalakaua Avenue. A number of world-class resorts are within walking distance from the shore, and they host a plethora of events for your enjoyment, including hula dancing, outdoor music events, surfing competitions, canoe races, and others. As the ocean remains calm most of the times in this area and a large number of beginners flock here to start their surfing lessons. While you are at the Waikiki Beach, you are within a short distance from many popular attractions, including Hanauma Bay, Iolani Palace, Pearl Harbor, China Town, and others. 4. Punaluu Beach: Punaluu is one of the most popular black sand beaches in Hawaii. The jet black sand of the beach is a site to watch. The sand turns black due to constant volcanic activities taking place near the south-eastern Kau coast. Another major attraction of the beach is the possible sighting of endangered green turtles and Hawksbill turtles that come on the beach to bask in the sun. This wide beach is a perfect place for activities like snorkeling, swimming, and coastal hiking. You may stop here for a picnic, or get a permit to setup a camp. While the black sand turns hot during the daytime, you can get some shade under the coconut palms lining the coast. If you are a snorkeling enthusiast, reach the Ninole Cove from the main beach and enter into the ocean. Facilities provided at the beach include outdoor showers, picnic area, parking space, restrooms, and others. Apart from that, feeling the black sand between your toes is a lifetime experience you will never forget. 5. Waipio Valley Beach: This is one of the most picturesque beaches. It is a north facing beach that is around a mile long. The eastern edge of the beach meets the rocky cliffs. This is the only beach in Hawaii where you can find paved or protected wading pools, and these pool areas are perfect for your family. 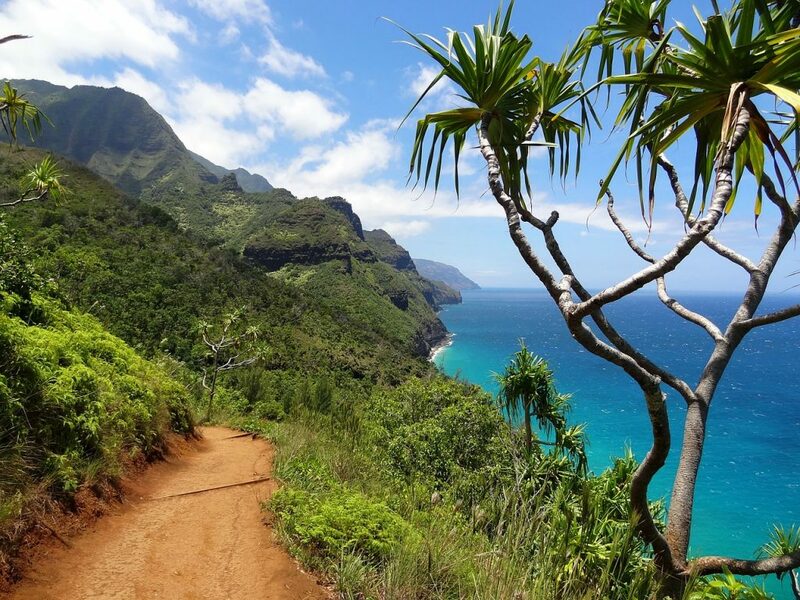 From here, you can trek toward the Lakuahine Falls, and you will find the largest waterfall come from 1400 feet atop the cliffs. There are a number of other waterfalls that are worth watching while you are here. From the beach, you will get some amazing views of the volcanoes, black sand stretches, valleys, and lava fields. However, the coastline is not developed properly, and coastlines of this beach are not safe for the swimmers. In this regard, you can choose the private pool areas or paved pools situated near the beach. The Wailoa Stream flows through the beach and enters the ocean. There is no bridge to cross it, and you have to dip yourself up to your waist to reach the other side of the beach. These are five of the most alluring beaches of Hawaii. Whether you are traveling alone or with your spouse, family or friends, you will find a beach that best caters to your needs in Hawaii.